Click here to view and/or download a calendar for the 2018/19 school year. Click here to view the district’s Child Find policy. Click here for details about the Oklahoma 529 Savings Plan! Click here to download the approved 2018/2019 Okay High School Handbook. Click here to view/download the Okay Elementary Student Handbook. Click here to view/download the Okay Public School District Foster Care Plan. 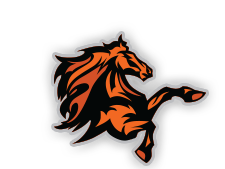 Click here to buy official Okay Mustang gear from Jostens.